The Worst 5 Foods You Need to Avoid before Exams - Weakness is a Choice. Your room is messy, books are everywhere on your desk, bed, and floor. You are in a miserable state. You have a pile of revision in front of you and you don’t even know where to start. You are too worried about your performance in the next day. So, feeding your body and brain is the last thing you think about. Whenever you hear your intestines growling or grumbling you just eat anything that comes your way in the kitchen and go back to your room again. WRONG! You are unintentionally doing wrong to your body, health, and grades too. Revision is not the only thing you should worry about but also the way you look after your body and mind. Did you know that the food you eat before the big examination day can have a significant impact on your performance? 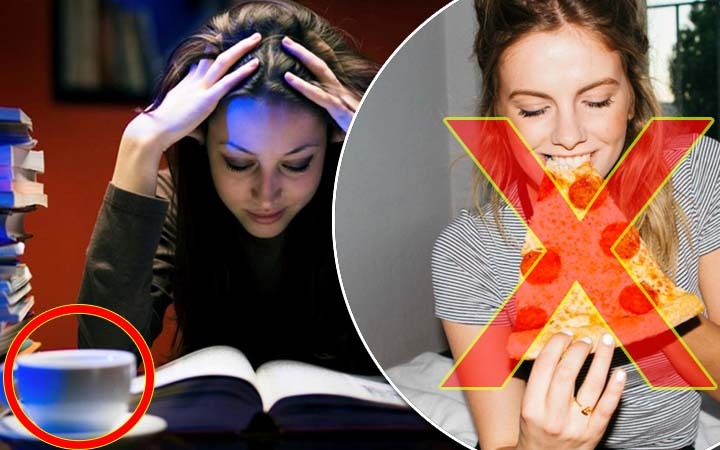 Whether you are a student craving good and higher scores or very simply a parent concerned with your kid’s performances then you’d better click on “next page” and follow me to discover the 5 foods you should definitely avoid before your exam day.